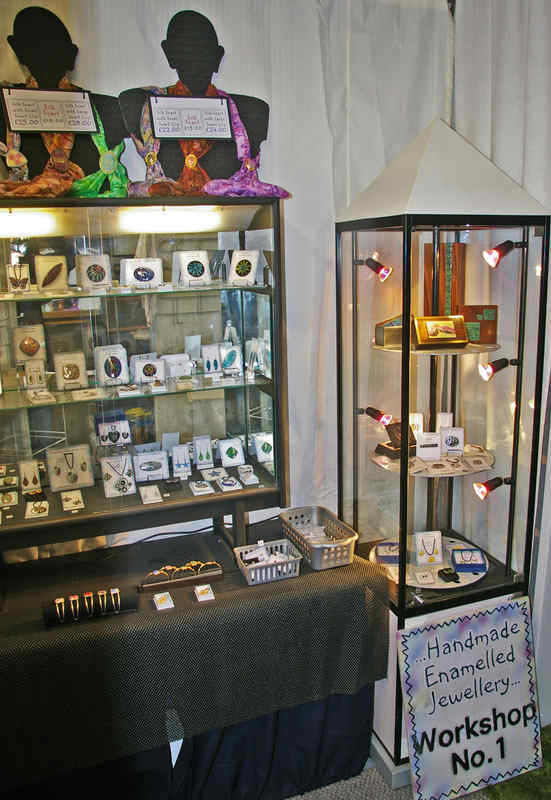 There is a small shop area to browse. The workshop is situated on the outskirts of Bromsgrove, Worcestershire. 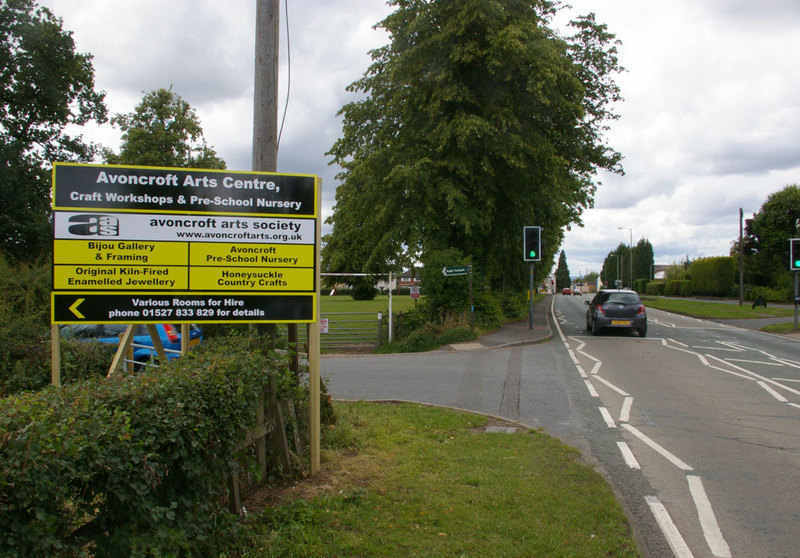 When leaving Bromsgrove via the bypass in the direction of Droitwich/Worcester, pass Morrison's and continue straight on to the top of the hill, just before the pedestrian crossing turn left into the drive up to the Arts Centre. See the map below (not to scale). There is ample free parking. The workshop units are next to the car park, and can also be accessed by wheelchair. 'Original Kiln-fired Enamelled Jewellery' is Workshop No. 1, third from the road, in the group of three. 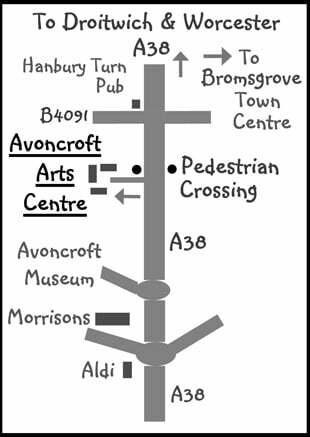 The full address of the workshop is Workshop No.1, Avoncroft Arts Centre, Redditch Road, Stoke Heath, Bromsgrove, Worcestershire B60 4JR. Wednesday to Friday 11am-4pm. Some Saturdays when I am teaching enamelling. Some Sundays (if there is a suitable event on at the Arts Centre.) I will give details on the Events page. If you are unable to visit during the hours shown above, it may be possible for you to visit during my workshop hours which generally begin earlier and end later than the shop times given above. Open at these and other times by prior arrangement only. Unfortunately, on rare occasions the workshop may have to close without notice on some days/part days given above.